In the stunning surroundings of Loch Lomond & The Trossachs National Park, there will be open water swimming events for all ages and standards of swimmers, including the family-friendly 250-metre option for those aged eight+ (when accompanied by an adult) and 750 metre and 1,500 metre options for those just starting out in open water swimming. For the more experienced swimmer, 3,000 metre, 5,000 metre and 10,000 metre options are available; and all distances include generous cut-offs to allow for those who want to take it a bit easier. Paul McGreal, from Durty Events, said: “We’re really excited to be able to continue the tradition of fantastic swim events at Loch Lomond. We know thousands of people have enjoyed the previous races and the absence of a major swimming event this year was met with a great deal of sadness, so we really wanted to create something that replicates that experience. “It’s a great fit for what we offer and believe in at Durty Events – amazing people doing amazing things in amazing places. We just love seeing people get out there, set themselves challenges, and have an adventure and Go Swim Loch Lomond certainly meets that criteria! “We’ve got a wealth of experience with open water swimming as the organising team behind dozens of the biggest, best and award-winning triathlons in Scotland over the last 20-plus years. “Some of these events have had Loch Lomond as a venue and include event management for the open water swimming events at the 2018 European Championships. You can count on us for Go Swim Loch Lomond to be well-organised, and for safety to be a priority to enable swimmers to relax and enjoy the day. Gordon Watson, chief executive of Loch Lomond & The Trossachs National Park, said: “Loch Lomond is an iconic location and a world-class venue for open water swimming as demonstrated by hosting last year’s European Championships televised around the globe. We want people of all ages and abilities to continue to have the opportunity to enjoy the fantastic atmosphere and wonderful experience of a mass participation event in this special place. 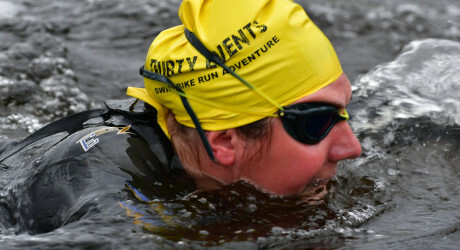 Images of previous open water swimming events organised by Durty Events can be downloaded here: https://www.dropbox.com/sh/m8vf4i9mbnlnps0/AAAWKouvioTnO1WaKjAx5fYKa?dl=0. Please credit Andy Upton. Durty Events have over ten years’ experience organising and running sports events in Scotland that are safe, professionally-organised, inclusive and great value for money. Triathlon Edinburgh has four years’ experience organising sporting events in Scotland including Aberfeldy Multisports Festival and IRONMAN 70.3 Edinburgh. Loch Lomond & The Trossachs National Park was Scotland’s first National Park established in 2002. The National Park encompasses around 720 sq miles (1,865 sq km) of some of the finest scenery in Scotland. The National Park attracts around four million visitors a year. Check out too twitter.com/allSportsPR and twitter.com/allOutdoorsPR.